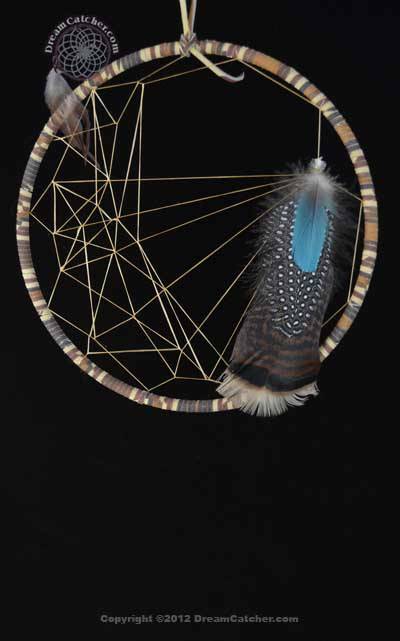 These beautiful dream catchers have a 9 inch hoop and are the creation of Tom Gray Elk Rael. 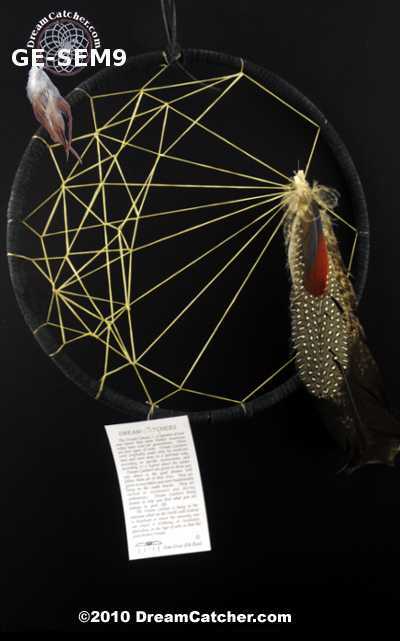 Each dream catcher is one of a kind and the feathers are gathered from birds that are given to Tom or from birds that he raises on his farm. 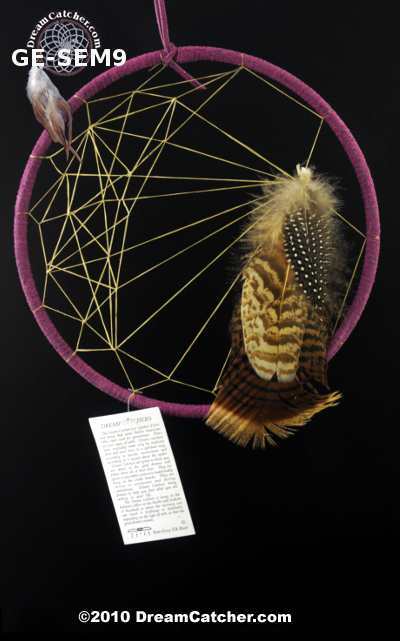 Tom calls this the Seminole weave dream catcher. 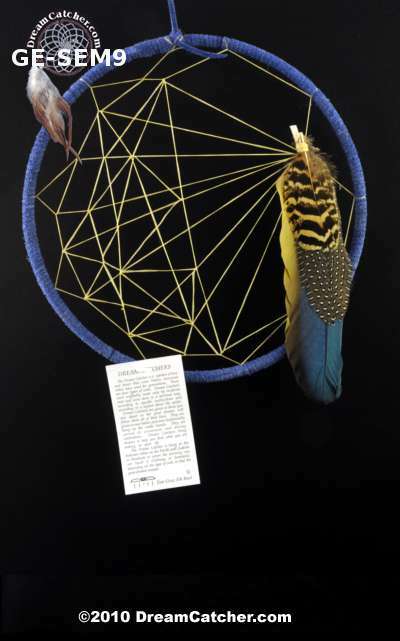 The cluster on one side represents stars in the night sky. 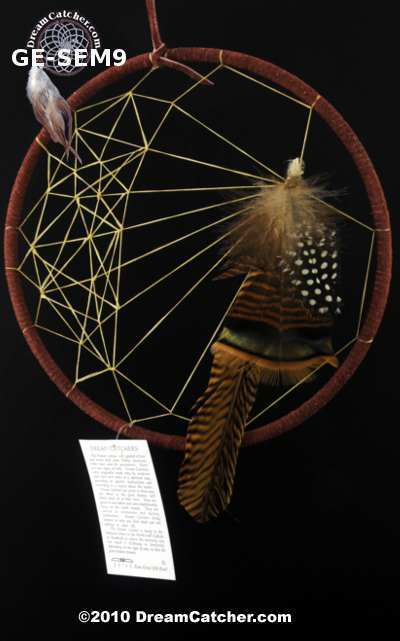 The feathers are a mix of peacock, turkey, guinnie hen , macaw , pheasant and pidgeon. 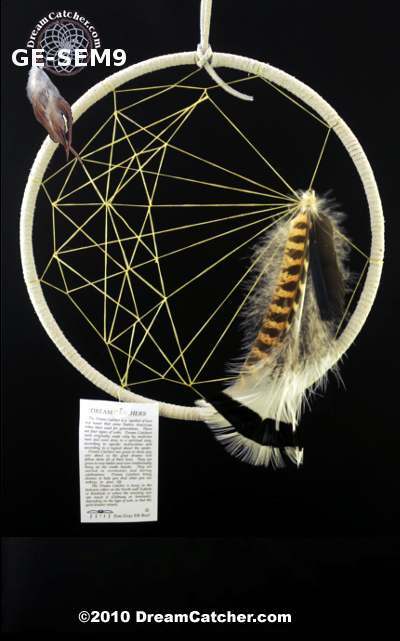 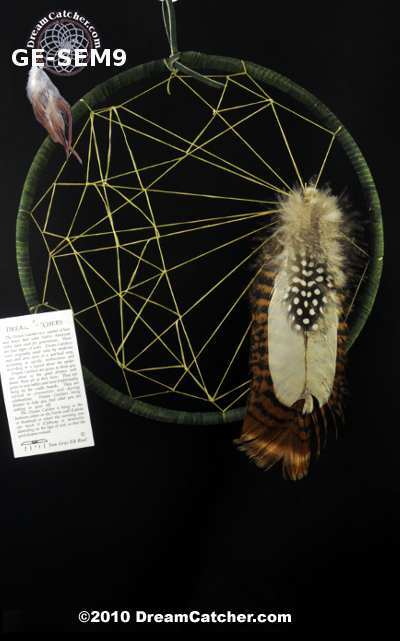 Each dream catcher has between two and four feathers total and they vary between the types listed. 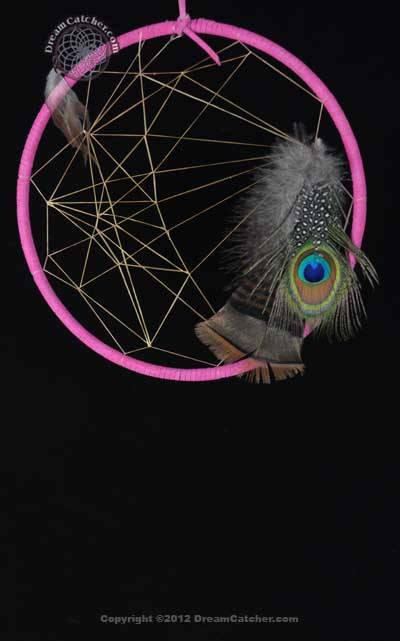 If you want a specific feather type in your dream catcher please call or email us.